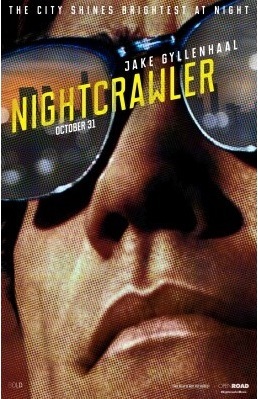 Jake Gyllenhaal is a creepy bug-eyed weirdo looking for a job anywhere he can, when he runs into a 'Nightcrawler' - a person who 'gets' exclusive footage of accidents during the night to sell to news stations for the 6am headlines. To film at its base is just American Psycho from an outsiders perspective shot in the style of Drive - which is good, but not what you'd expect from a pair like that. 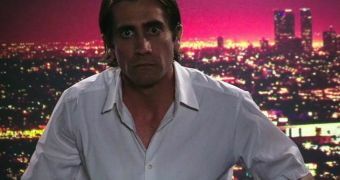 It's clear from the start Lou (Jake Gyllenhaal) is a total psycho - just his demeanour and look are extremely offputting; but what really got to me is that he doesn't sleep. At all. He slinks around at night so it's obvious he sleeps during the day, but then there are scenes of him operating at 100% during said day and it was extremely odd to me. The way he treats his employee Rick (Riz Ahmed) and head of news stories at Channel 6 Nina (Rene Russo) is obviously shocking - and they say so themselves but the best part is YOU NEVER SEE THE PROOF HE'S DOING THESE THINGS TO THEM. It's like they were going for the end of American Psycho but dragged it out for the film so it was stretched too thin!! Poor, poor Rick though.. I'd never heard of Riz Ahmed but he is the perfect character to feel sorry for, especially when he deals with Lou himself. 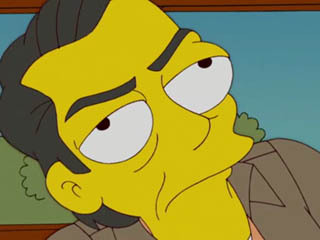 Rene Russo is infuriating, she's like that teacher in school - the one who accepts nothing from you no matter the quality; but she's totally ruthless and becomes an enabler of Lou's sociopathic tendencies. Now Jake as Louis Bloom, this was where the real acting was. He has the underlying tenseness of The Driver mixed with Anthony Chigurgh's totally creepy look - and Gyllenhaal knocks this out of the park. Watching him talk to Nina just made my skin crawl, there was something about the unforgiving and demanding tone in his voice that REALLY made him feel like an unhinged Doctor Who - I was impressed.